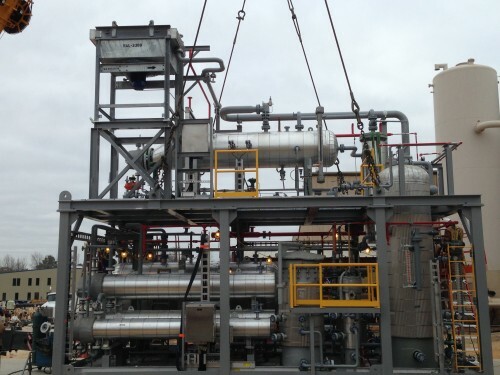 IFS was contracted by LLOG to design and build a Glycol Regeneration Package intended to clean and regenerate Tri-Ethylene Glycol (TEG). 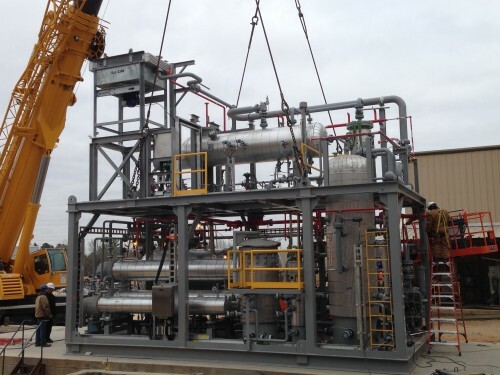 Lean TEG is used to remove water from a natural gas stream. The rich TEG must be regenerated to remove the absorbed water. A small footprint is essential for this glycol regeneration process due to the limited space available on the offshore platform. 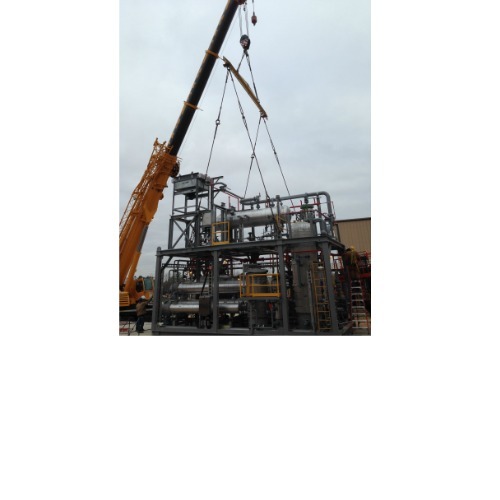 IFS designed a modular process skid Glycol Regeneration Package to remove water from natural gas using lean (water-free) TEG as an absorbent. 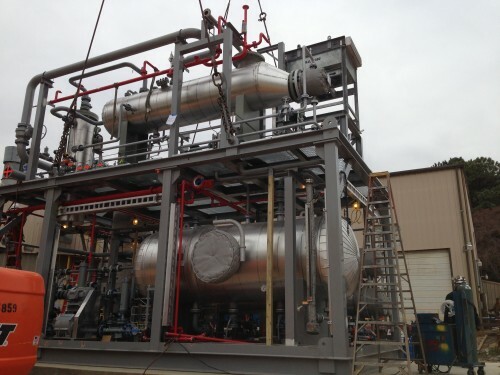 IFS’s systems reduce the water present in the natural gas stream to the content of water dew point. The rich TEG must then be regenerated to remove the absorbed water. 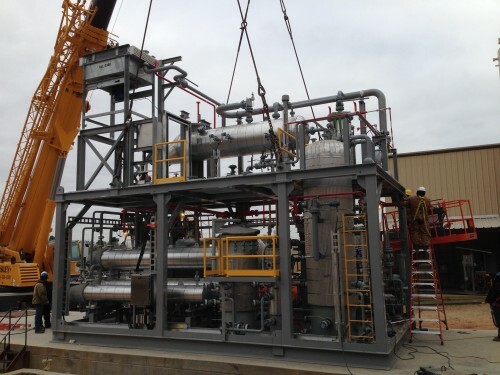 IFS designed a Glycol Regeneration System, which is capable of purifying rich Glycol to a minimum concentration of 99.4% TEG by weight. 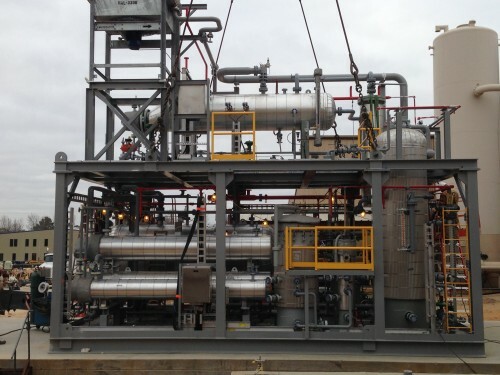 The lean TEG is filtered to remove any heavy hydrocarbon traces and a 3-phase separator removes any light hydrocarbons that are carried over from the process. A compact double deck design was created that separated for truck transportation to the integration site. 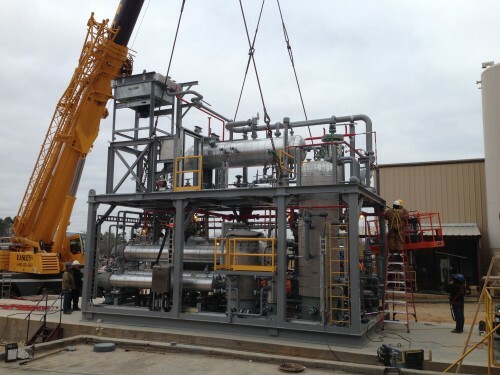 Contact IFS today for more information on how one of our custom modular skids can help improve your process and grow your bottom line.